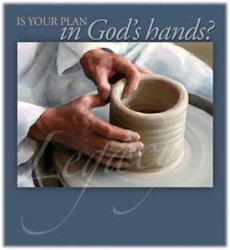 Is your plan in God's hands? It is a very important question. One that every Christian should ask themselves. When our goal is to always do the Lord's work then we need to make sure that we are seeking His leading and purpose in our charitable giving and future legacy gifts. At It Is Written we have an increasing number of friends who have made a covenant with God to share their blessings and are now benefiting from life income gifts, gift annuities, and other plans. Would you like to join them? As our new planned giving site is updated to fit our new look and feel, please feel free to visit our current planned giving website by clicking on the button below. Welcome to It Is Written's Planned Giving and Trust Services Department. We are here to provide you with useful financial, estate and gift planning information. We can also help you plan for the care of your family while also supporting the outreach of It Is Written. If we can assist you in any way, please call us at 1-800-992-2219. 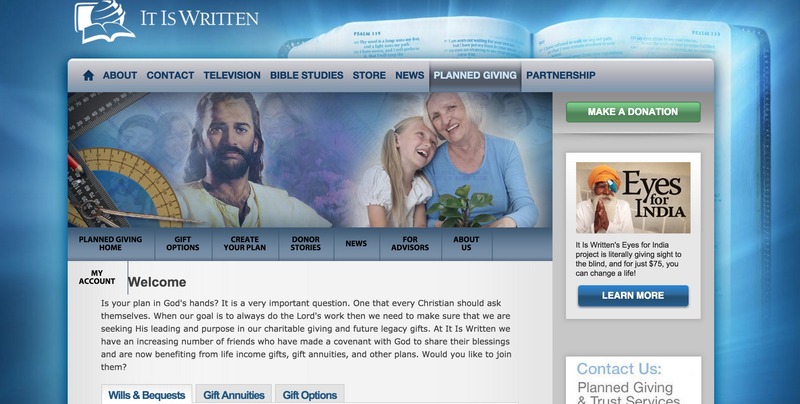 We encourage you to explore our comprehensive gift planning and trust site to find donor stories, streaming media about gift annuities, information about charitable remainder unitrusts, charitable remainder annuity trusts, and other gift plans. You will also find timely articles about current legislation, personal finances, healthcare and Social Security. The site is updated all the time, so you may want to bookmark the main page!